We had some challenges potty training my oldest. And by challenges…I mean he finally potty trained himself right before our third boy was born. I came up with this potty chart for him to keep track of every time he used the potty. 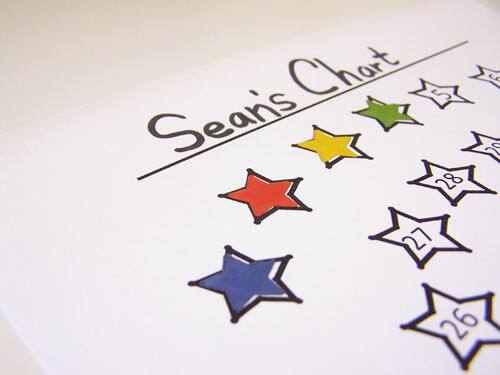 Print of the chart here. 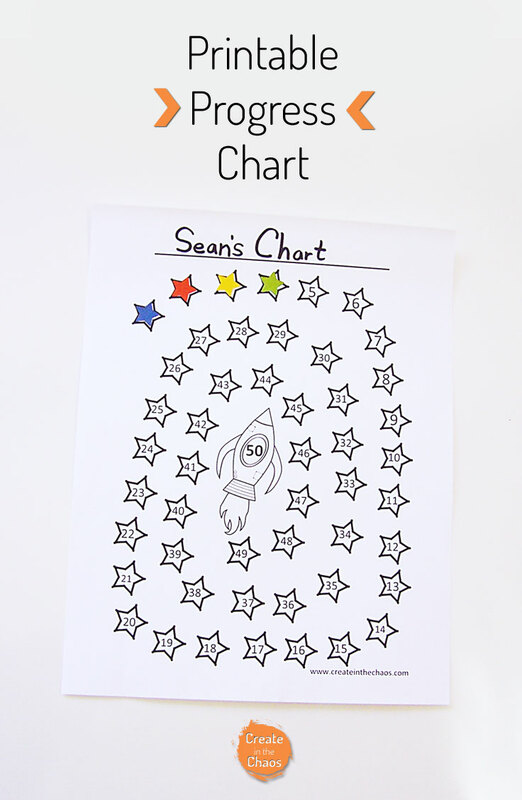 You can use this as a potty chart, a chore chart, or just as a fun distraction for your 2 year old (20 minutes of sweet, calm silence, I tell you!). Star stickers work best, but you can use whatever you have. 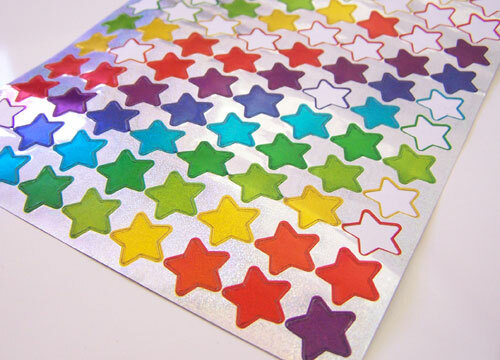 I found these great star stickers at Target last year – I wish I had stocked up on more of them! These Avery star stickers might work well with it, too. Fill out the chart to get to the rocket in the middle. P.S. 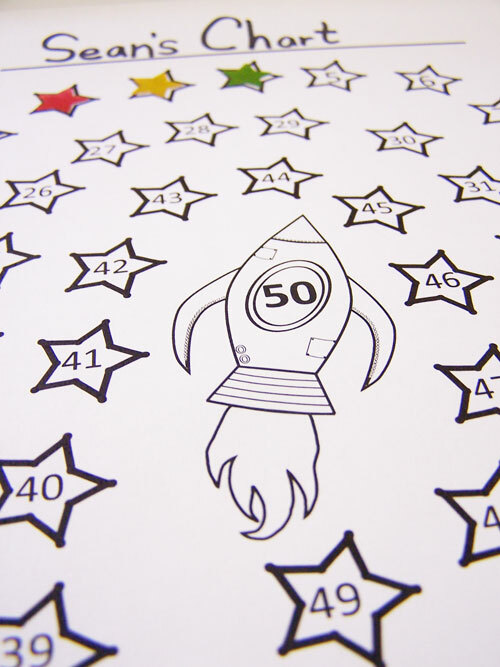 And if you have space-loving kiddos like mine, check out this simple spaceship papercraft. This is so cute! Love the circular direction and the stars!